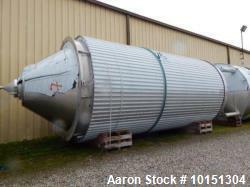 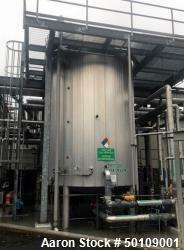 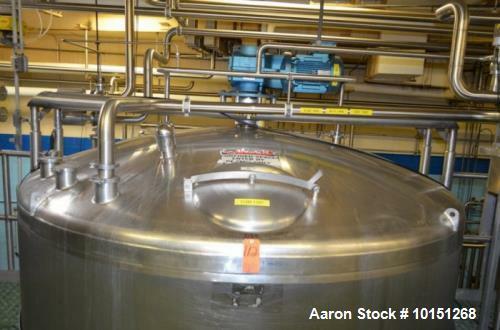 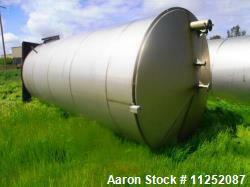 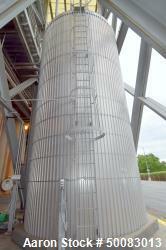 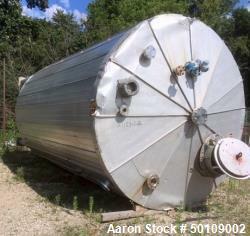 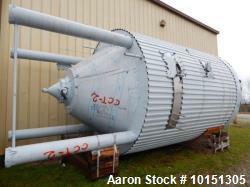 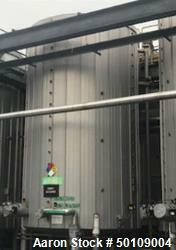 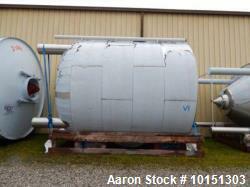 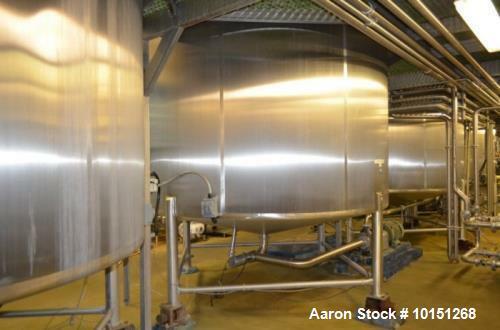 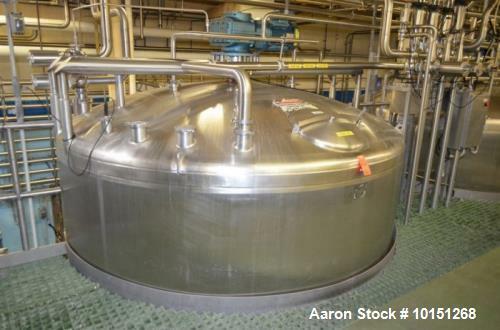 Used- Crepaco 6,000 Gallon (Approximately) Stainless Steel Vertical Single Wall Tank. 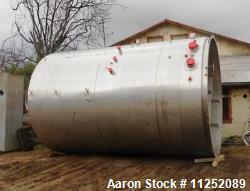 Dome top, dished bottom center. 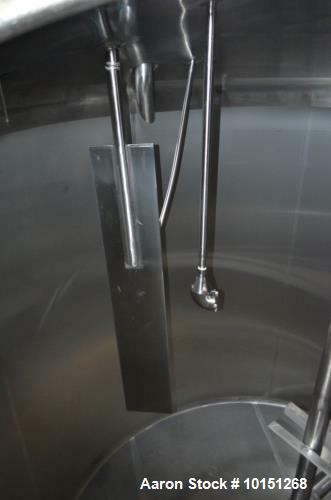 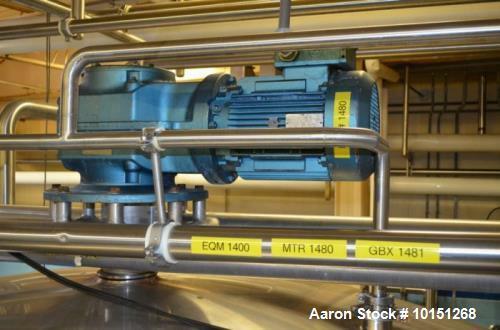 Bridge mounted agitator. 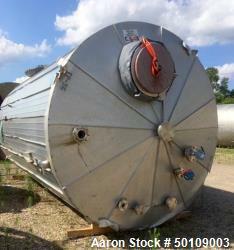 10 hp motor. 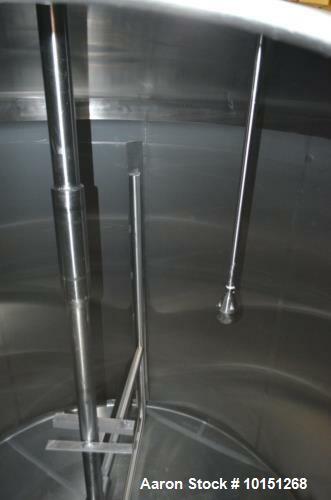 Sweep agitator. 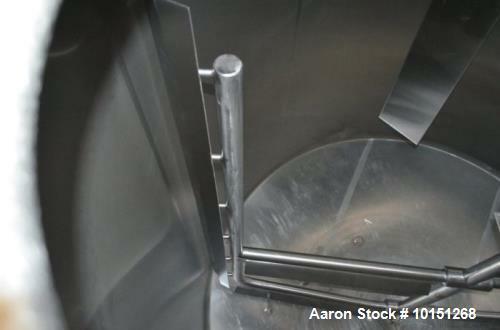 Internal baffles. 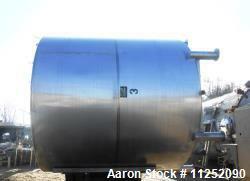 Spray ball. 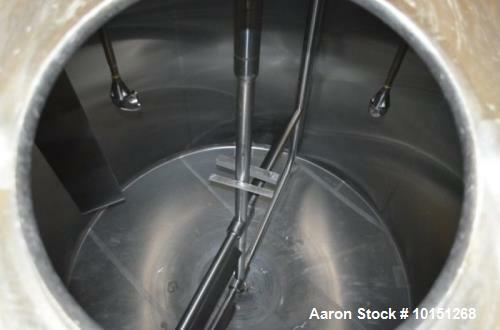 18" manway 4" center bottom discharge. 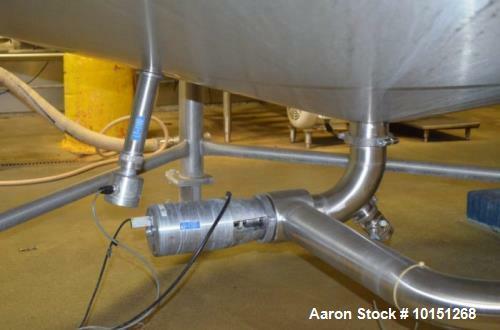 Mounted on (4) stainless steel legs, no load cells included.